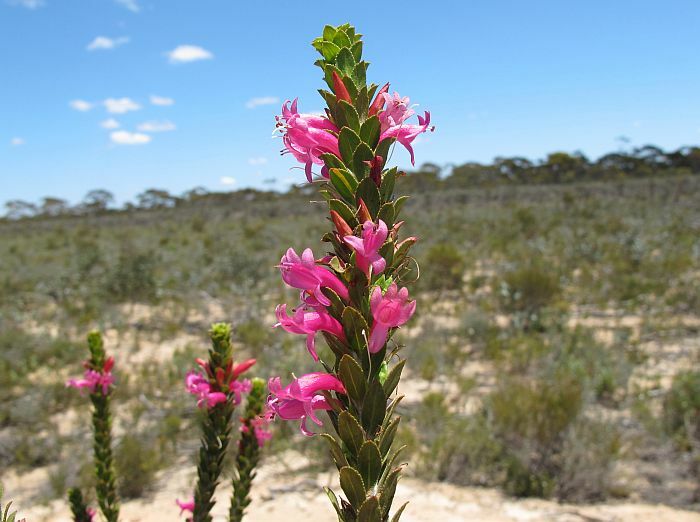 The Scrophulariaceae (Myoporaceae) family has many spectacular Eremophila species, but Eremophila calorhabdos is one of the most unusual. 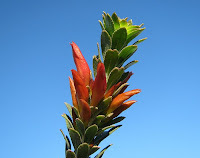 It can grow vertically to over 3 metres (10’) as a single rod-like stem, or with a small number of equally upright branches. 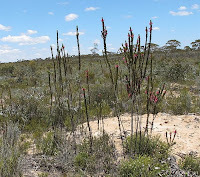 Due to this unusual growth habit it can be recognised from a fast moving vehicle without reference to flowers or foliage, however you need to visit the inland mallee region to find them, ie between the north of Israelite Bay and Ravensthorpe, with the northern Esperance region being central to its range. Like many mallee species, Eremophila calorhabdos responds to bushfire and can be commonly found in scattered colonies in fine sand/clay soil over limestone, two to three years after the fire, although very tall ones are obviously much older. 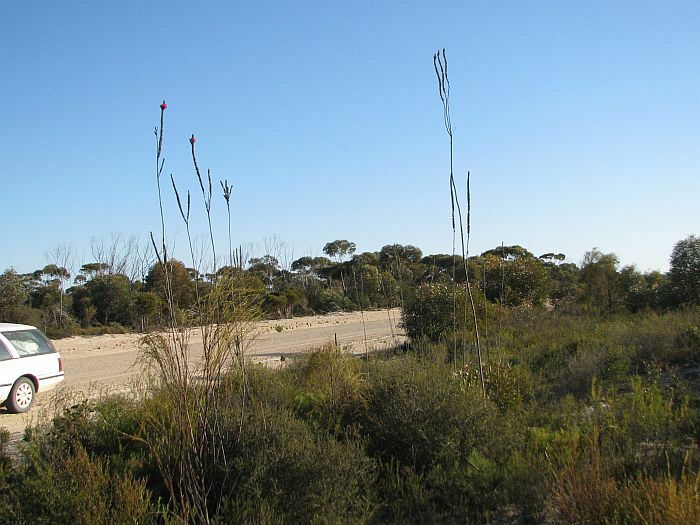 In this freshly burnt environment, it towers over all other vegetation and is therefore quite noticeable. 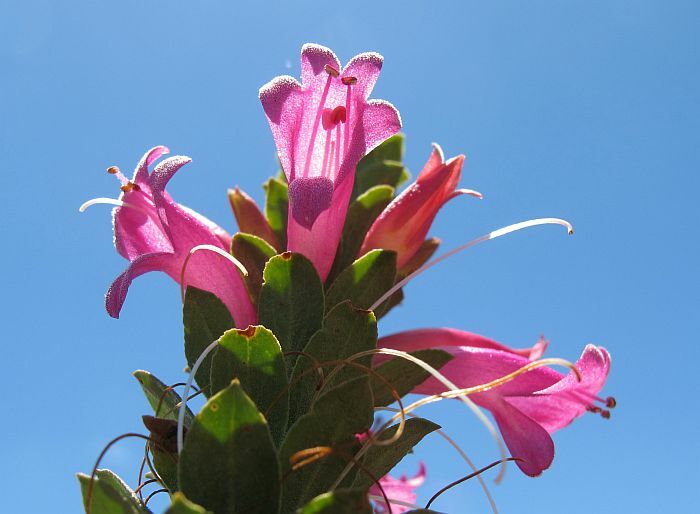 Despite the spindly growth it produces clusters of large tubular flowers (to 3 cm or over 1” in length), which are perfect for honeyeating birds to feed from and being so elevated, have no trouble in attracting them. 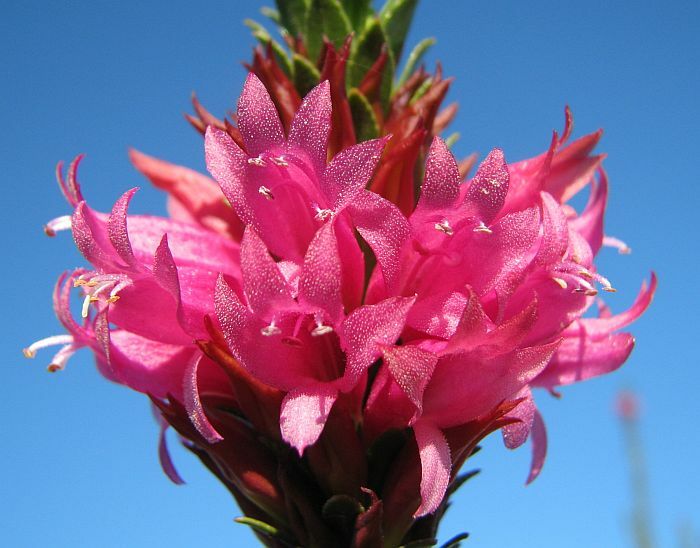 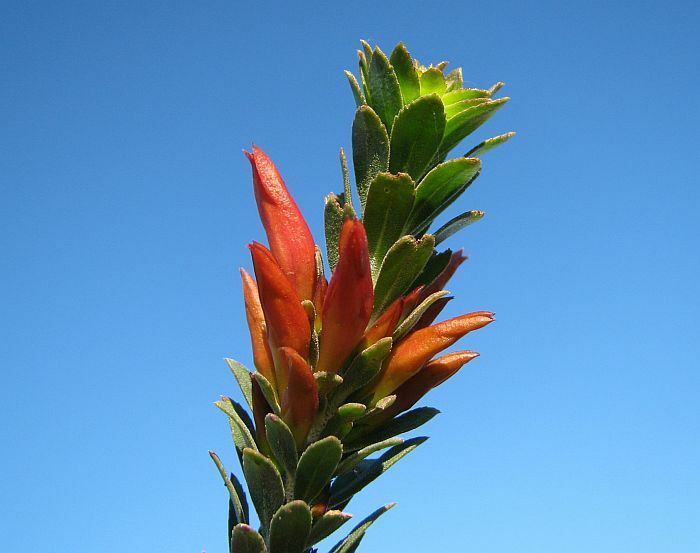 The flowers are orange in bud, but open to a bright lipstick pink, which in a good season (mild weather and regular rainfall) will bloom for many months, with new flowers being produced at the base of upper leaves. Locally October to December will usually produce the best floral displays, but they are recorded flowering from August to May. 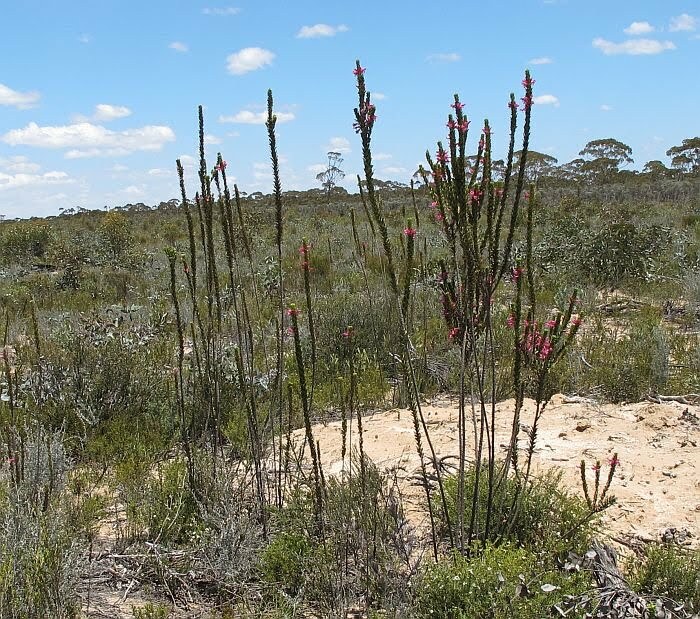 The WA Herbarium is now using a different classification system, in which the Myoporaceae family has now been absorbed into the Scrophulariaceae family.